Large room, clean, Good for an overnight stay. no problem with noise. Shuttle came about 15 minutes after request at 4.20am. Hotel was good and staff very helpful.Everything ran smoothly and I was very pleased with everything. As everybody that has ever stayed here will attest, the service is absolutely the best. The wait staff, activities staff, maid, front desk. The food choices, including the other resorts in the complex, are limitless. What I noticed most was how clean everything within Hidden Beach stays, from fresh terry covers for the beach loungers to the sidewalks, almost constantly being swept. Just needs a proper beach. We don't travel too often, but always use online booking. The price was $100 lower per night than the next cheapest site for the same room. Check-in was quickest/easiest ever and everything was as advertised. From all the online booking agencies I have ever booked with (I always go through Trivago, which makes me end up with many different agents Booking.com, Expedia, Hotels.com, etc. ), Amoma is the worst experience time after time First, their online product descriptions are quite treacherous & (therefor) rather questionable just one example: a thing like "flexible cancelation possibility" sounds nice', but doesn't really mean anything and when you proceed, it immediately becomes clear you're stuck with a minimum of 50% (+ constantly increasing) penalty of your booking fee when cancelling. (Oh sure, it's all-in the "small print", somewhere' on their website; but NOT in the offers they present you.) And there's more stuff like that But what really is unacceptable, is their lack of customer service follow-up. Service centres that can NOT be reached? Service centers that DON'T speake English? Formal letters of complaint that are NOT answered? Make no mistake: they're after your Money nóthing more. 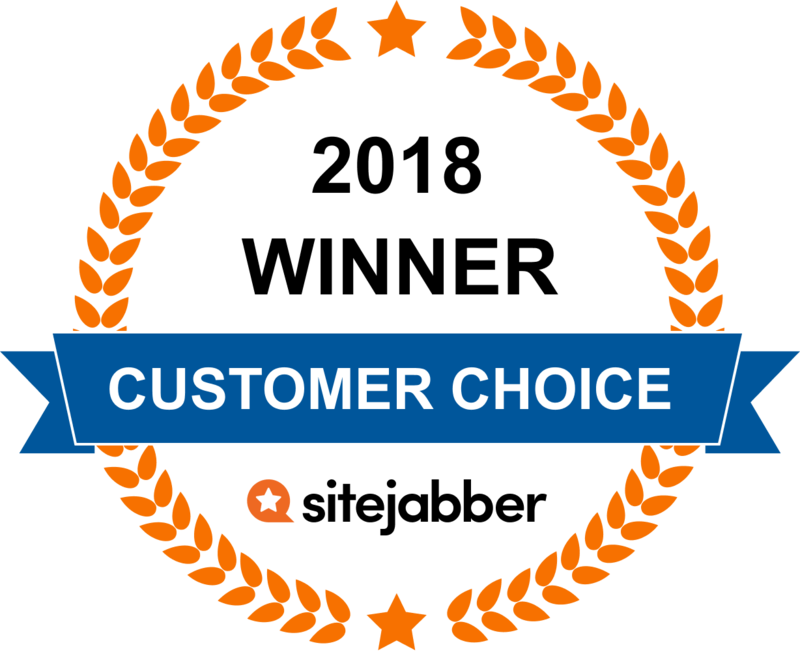 We take each customer’s feedback seriously and we would like to assist you as soon as possible. Unfortunately we are not able to identify your booking with the details you have provided within your review. Please include your booking ID and one of our agents will contact you shortly. Otherwise, you can also contact us through our on-page LiveChat or your customer account. Let me add my experience with AMOMA.COM,, back in September I booked a Hilton Ramses Hotel through them on 09/15/2018,, 1 week later I contact the hotel by chance to check something in my reservation just to find out that the hotel did not hear anything about me or even about AMOMA.COM,, so I had to call their customer services and the guy first question that he asked me what are the guests nationalities ( I don't know why though ) ,, I told him we all Canadian then he said he will get back to me later. Then the guy emailed me with the canned answer,, like hotel won't hear about your reservation now ,, only a week before your reservation then hotel would have my reservation, and this is normal. The problem was, we were supposed to move from Canada by 10/05/2018 to go to sharm el Shiekh then when we finish sharm el shikh we would move to Cairo to stay there for the last 5 days then to come back to Canada, originally I am Egyptian and I know when I will be in Egypt the only way to call them it will be through the international calls and I would use the prepaid telephone services so the follow up calls from Egypt it would be soooo expensive , so they suggest to keep this reservation for a week , hoping that their supplier will get back to them ,, each time I was following up with them during this week , they kept saying no one knows when their supplier will get back to them ,, I had a kid & a wife and I won't gamble with them. So after that week I called them to follow up and they had no feedback yet then I asked them to cancel this reservation and to refund me back,, to be honest they refund me back the full amount but I was living in this drama for a week hoping that their mysterious supplier to book the room but what if the room will not be booked so I was supposed also to look up for other website to finish another reservation in case if AMOMA.COM booking fail. And by the way I booked other hotel close to Hilton Ramses with the same category five stars and the difference was like 25$ ,, it does not worth it at all especially when you would have a family. We had a really comfortable night and booked with short notice. All the staff were lovely. We liked the hotel very much. Very clean and nothing was too much trouble. Thank you. Had to cancel my booking. No hassle at all. Amoma was very timely in sending me the confirmation and told me when to expect the refund at my bank /credit card statement. Got my money back in Canadian dollars which is the currency I used. Of course, I had to pay for the administration fee $60.00. It's fair and that's what I agreed with when I first reserved my booking. Very satisfied . Will come back , for sure . Keep me update with your information. Downtown is very nice. "Closed" for refurbishing so beds piled up in reception. Traveling as a couple we were given a room with a double and a single bed. The single bed was across the bathroom door so we had to climb over the bed to enter the bathroom. The bathroom fan came on with the light and was loose on the ceiling so very rattlely and noisy, it also ran for quite a while once the light was turned off (as did the one in the room above us) so not good during the night. The beds had a sheet and the old fashioned wooly blanket which looked rather dubious to me. My husband turned on the small TV but when I asked at reception for a remote I was told "we have taken the aerials out of all the tvs" so there was no TV (or carpets) both of which were in the hotel description. We had read reviews which said that money had been taken from rooms so deliberately did not take our kindles or tablets and we left our things in our cases with locks on when we weren't in the room. May have been a good idea as twice we returned to our room in the evening to find the door open, not just unlocked but actually open. When I told the man on reception he said "it will be the cleaner" I requested that the cleaner refrained from making the beds for us for the rest of our stay. Continental breakfast was included in the price. The coffee was already made so wasn't very warm and there was no tea and no one available to ask for any. We didn't bother going down after the first morning. I have stayed in many hotels in various parts of London paying around this price and this is the only one I would not return to. We are sorry to hear about this situation. Please note we have sent you a private message to further investigate this matter and find a satisfactory solution together with you. We are pleased you enjoyed our service. Thanks for your feedback and sharing your smooth experience, it's much appreciated! We're pleased to hear you were able to take advantage of our exclusive promotions! Giving our customers the best value accommodation on their travels is our number-one priority. Smooth transaction. Not a site I'd heard of so was reluctant to book but glad I did. Excellent rate. Will use again. Thank you for your great feedback and spreading the word about AMOMA.com! Very happy with easy reservations and check in. When we arrived, they had us on the first floor. I had asked for highest floor possible. Front desk clerk had no problem changing our room to higher floor even though hotel was fairly full. Breakfast very good. Variety...waffles, eggs, sausage, cereal, breads, muffins. Only problem was no OJ. Was told truck didn't deliver. Thank you for your review ! We're pleased to hear how much you liked your stay! Amoma site provided an easy interface and pricing was quite competitive. I recommend it and will use Amoma again. Thanks very much for your kind words! We hope to remain your number-one hotel booking platform for a long time to come. Easy site to use...... scroll menu very self-explanitory...... prices are great. So competitive prices from other main sites........ expedia......priceline.....etc. We are happy to hear about your great booking experience. Offering you the easiest booking procedure and best service is our top priority, so let us know if there is something we can do to make your next booking with AMOMA.com even better! Amoma is the best. They make things easy and successful when booking in their page that makes me feel awesome. Thank you Amoma.com for a great deal at a fabulous resort in Maui, Hawaii! It was exactly what we paid for no gimics!!! We are very happy to have you as a customer! Thank you for your great feedback, we hope to remain your number-one hotel booking platform for a long time to come. My wife booked the Omni on the San Antonio river. Everything was as stated in our rental contract. The staff was friendly and helpful and the room was nice. We are happy to hear how much you enjoyed your hotel! Providing our customers with the highest quality hotels is of great importance to us. I booked a 5 day hotel stay in Atlanta through Amoma and saved about $300 versus other booking site rates and the hotel 'special' rates themselves. It was easy and flawless. Previously I had booked a hotel through Amoma and had to cancel, and they were very prompt with my refund. Thank you for your kind review of AMOMA.com! We're happy to also hear how much you appreciate the work of our customer service team, and that everything was done to your satisfaction. The reviews are saying I won't be refunded in the event the hotel or amoma cancels my reservation because a lack of rooms, tell me this isn't true? I cancelled my booking with Booking number: 32466241. But I haven't received any confirmation email yet. Can you please check and let me know. Also nobody answers at customer care number. This is really pathetic experience. hi below is my booking no Client number:	15666397 Booking n°:	27679725 i have already made a complaint 3 weeks ago but nothing heard. i booked for 4 people and now after talking to the hotel they said its only double room and 2 kids have to sleep with parents and extra charges for separate beds? could u tell me hwts your complain procedure? You still owe me $275.00 times 2 rooms, why have you ignored my emails for 3 years? Questions? Get answers from the AMOMA.com staff and other customers. AMOMA.com is your room key to more than 300,000 hotels worldwide. Whether you look for a low-priced hotel or a 5* resort: AMOMA.com offers you a wide range of accommodations at the best price. Book your perfect business hotel or holiday destination online and save up to 80%! On AMOMA.com you can not only book with confidence thanks to fully secured payment but also manage your own booking. Send special requests, change your dates or modify your reservation: Booking your next hotel has never been easier. Find the cheapest deals now on AMOMA.com!